Hershey Free Church’s mission in going beyond our walls has two spheres of focus. The first is our global focus. We have many missionaries that we support in countries throughout the world. We have a partnership with Haiti and STEP Seminary. We have begun a multi-year partnership with Burkina Faso in West Africa. We also have GIFT (Global Impact Fund for Transformation, formally known as the Global Ministry Project Fund). GIFT is a donation-based fund that supports various global projects throughout the year. We also know that one does not have to go to Africa in order to participate in God’s mission. Each one of us lives in a local community, interacts with neighbors or cashiers at grocery stores, and has the opportunity to serve locally in various ways. One focus for the upcoming year is what we are calling LIFT (Local Impact Fund for Transformation). God has equipped and led the people of Hershey Free Church to be involved in many different community organizations throughout our region. It has been said that you replicate what you celebrate. We want to celebrate the involvement of our congregation as they serve in various organizations that seek the flourishing of our communities. Through sharing stories, we want to inspire others to do the same. The church is the people of God. Where individuals go and serve, there goes the church! Each one of you who serves in your community carries the gospel and the light of Christ with you. We want to celebrate that. We want to encourage you and the organizations that you support. We want to enable you to be agents of change. Our vision is for Hershey Free to be serving not just within the walls of the church. To that end, the elders of Hershey Free Church have established LIFT. This fund exists so that individuals can apply for grants to be distributed to the local non-profit organization in which they actively serve. Grants will be awarded for $500 to these organizations, if certain criteria are met and funds are still available. Applicant must attend Hershey Free regularly and consider Hershey Free to be their home church. Applicant must be actively serving as a volunteer in the focus organization. “Actively serving” is defined as the applicant volunteering on a regular, ongoing basis, and having given at least 20 hours of time to the organization in the 6-month period prior to the date of application. An individual may make up to two applications per fiscal year (July 1 to June 30). The Hershey Free individual must complete an online application that includes a description of the organization and how he or she has been personally involved. 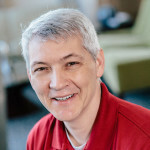 The organization must be a local, registered 501(c)3 non-profit that is morally positive as well as being Christian faith-based or spiritually neutral, and that seeks the flourishing of the geographical area of the Hershey Free applicant. The organization must not be political in nature. The Hershey Free applicant must be willing to personally deliver the grant to the organization. Apply using the above link. Paper copies will be available upon request. Applications are reviewed by the leadership of the Beyond the Walls ministry at Hershey Free. How do I know if the organization fits the criteria? The organization must be a local, registered 501(c)3 non-profit that is morally positive, Christian faith-based or spiritually neutral, and that seeks the flourishing of the community of the volunteer. If you have any questions as to whether the organization meets the criteria, please contact Dave Hyatt. What if I'm not a member of Hershey Free but attend regularly? You do not need to be a member of Hershey Free to apply. However, we may ask that you discuss membership with a staff member. What if the fund is depleted before I submit my application? A designated amount will be set aside for this fund each year. 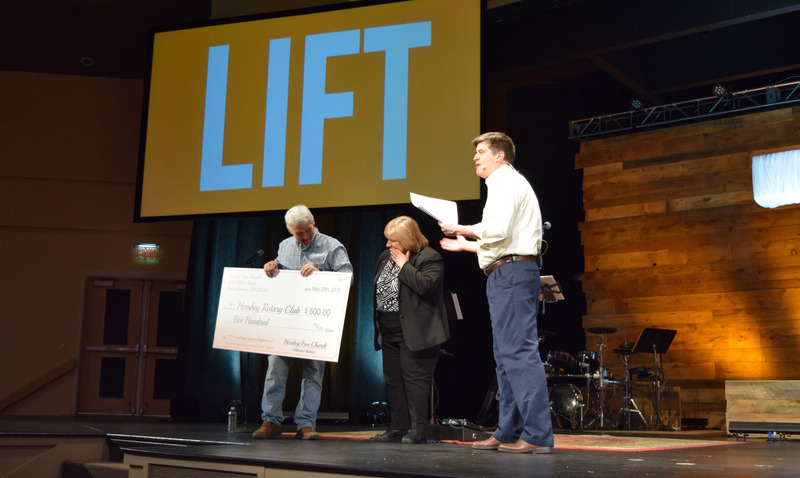 LIFT is also a giving fund of the church. To donate toward LIFT, write LIFT on your check or offering envelope, or give online. Applications will be considered on a first-come, first-served basis. Once the fund is exhausted in a given fiscal year, no more grants will be awarded during that fiscal year. If I volunteer with an organization outside of this geographical area (e.g., a Habitat for Humanity Build in another state), can I still apply for a grant? No, the grant is intended to act as a catalyst to further partnership and involvement in an organization being used to bless our local surrounding community. I am paid by a non-profit organization. Can I still apply for a grant? No, these funds are intended to celebrate and encourage volunteer service. Shouldn't we want to serve without doing it for financial reasons? Of course!! These funds are to show you that we are with you and want to help bless others through you. We want to affirm those in the church who are serving so well in so many wonderful organizations. Do you have any suggestions as to where I could serve?